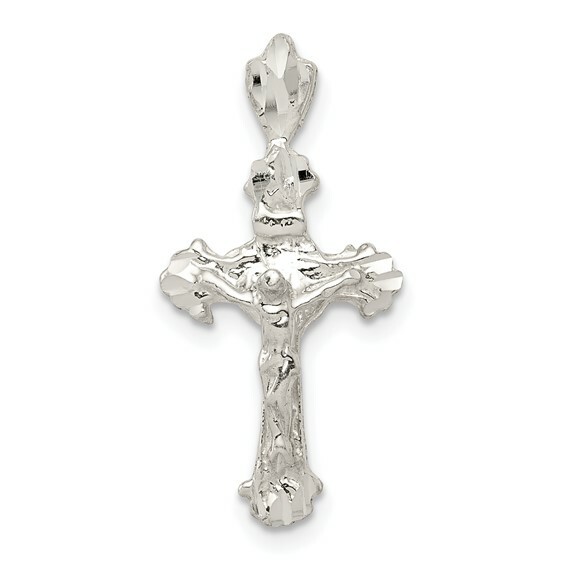 Sterling silver crucifix pendant is diamond-cut with a polished finish. Measures 3/4 inch tall by 1/2 inch wide without bail. This item is slightly larger than a penny. Crosses with a representation of the body of Christ, or corpus, are crucifixes and recall the death and resurrection of Christ. Weight: 1.5 grams. Made in USA.